Will Ackerman has made his mark in music several times over and he continues to do so with his Imaginary Road Studios in Windham County, Vermont. The Gathering, released in 2012, received a lot of praise and won the Zone Music Reporter album of the year with the highest rating in their charts history. 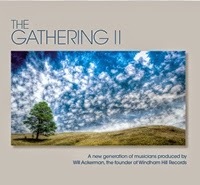 The Gathering II is a similar collection of tracks featuring artists that recorded albums at Ackerman’s studios. I am proud to say that our affiliation is strong with most of these artists having covered their albums in reviews from last year to date. Also our affiliation with ZMR is a joy to have and a privilege to help promote these fantastic artists. This collection of 21 select tracks sheds the light and illumination on each and every artist beautifully. Without a word the music delivers a sense of warmth and spirituality that every sentient being desires. A break from everyday pressures and stress may be the just the tonic your soul desires. The Gathering II is the right prescription. The instrumentals are led by the piano in many instances however many other instruments become factors as well and create the same pleasant desired effects. Lawrence Blatt’s “Where The Pines Once Stood” and Matteo Palmer’s “Ex Nihilo” are fine examples of where the compilation steps away from the ivory keys and lets the six-string do all the talking. Blatt’s guitar whispers sweet nothings in your ear from where the strong and tall trees once stood and Palmer’s sweet and graceful picking showcase the sheer beauty one guitar can make if played properly. Those are but two examples of the transitions all of this music can offer within one singular track. These tracks are artists taking a once empty canvas and painting their broad musical strokes to create their own individual masterpieces into one collective of amazing new age instrumentals. As one entity they are representative of the genre and serve as an introduction to not only their world but to the Imaginary Road Studios where it all begins. The recording process is impeccable and the studio resonates with the full bodied sound provided by each individual artist. It all seamlessly falls into sync with the awesome surroundings of rolling hills, majestic green mountains and fresh air. I would not be surprised to see this second edition of The Gathering to make its mark once again on an audience eager to absorb and fully enjoy each track. 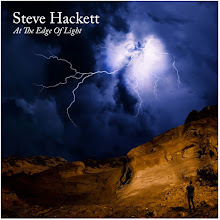 This is a taste of heaven my music loving friends and it comes highly recommended from this listener.